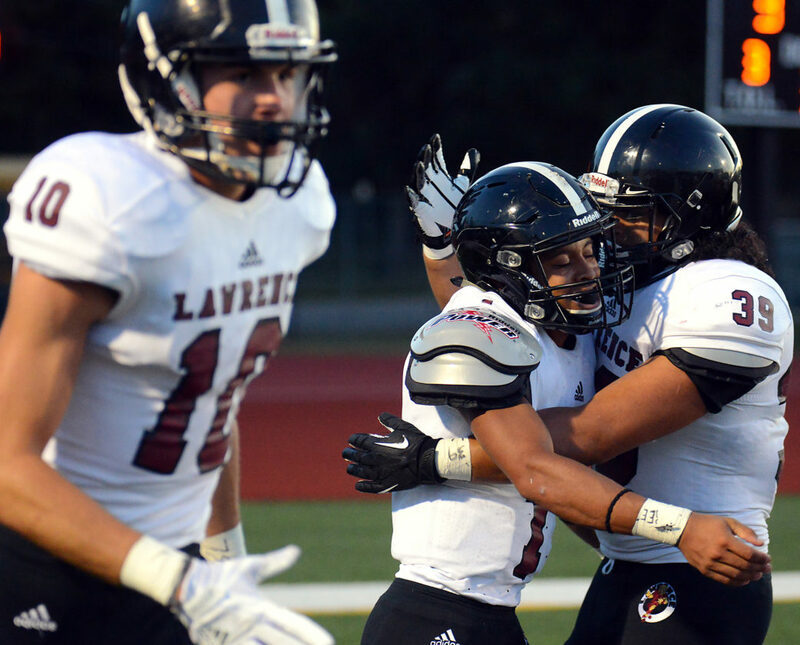 Angel Garcia congratulates Dante Jackson after he scored for Lawrence High against Shawnee Mission North during the second quarter on Thursday, Sept. 7, 2017 at Shawnee Mission North District Stadium. 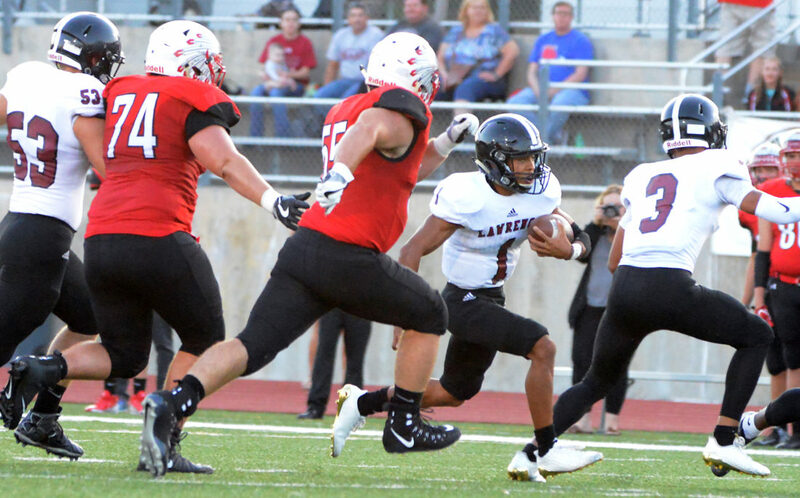 Dante Jackson looks to pass the ball as Lawrence High went against Shawnee Mission North during the first quarter on Thursday, Sept. 7, 2017 at Shawnee Mission North District Stadium. 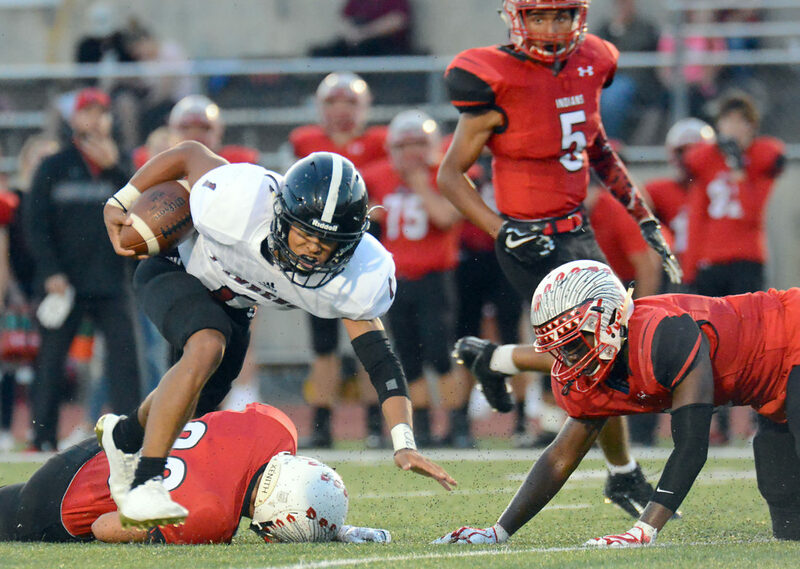 Dante Jackson tries to stay on his feet as Lawrence High and Shawnee Mission North played during the first quarter on Thursday, Sept. 7, 2017 at Shawnee Mission North District Stadium. 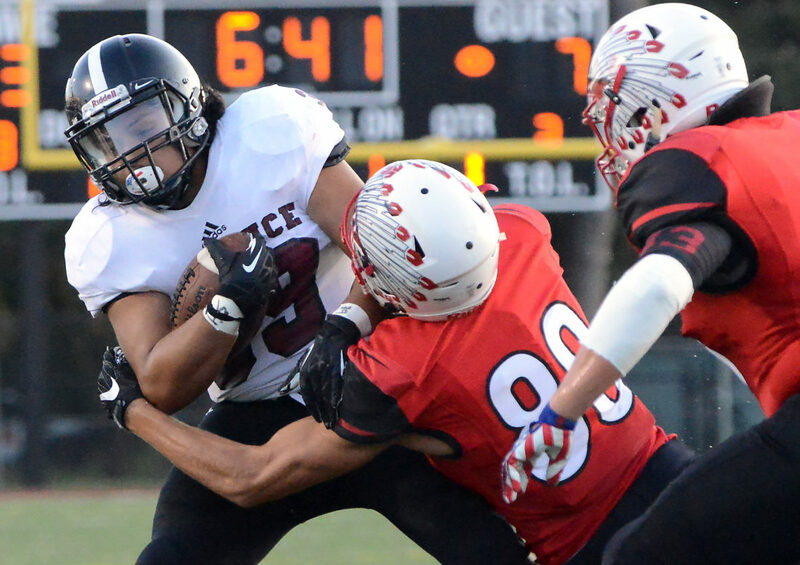 Angel Garcia fights through the defense as Lawrence High and Shawnee Mission North battled during the first quarter on Thursday, Sept. 7, 2017 at Shawnee Mission North District Stadium. 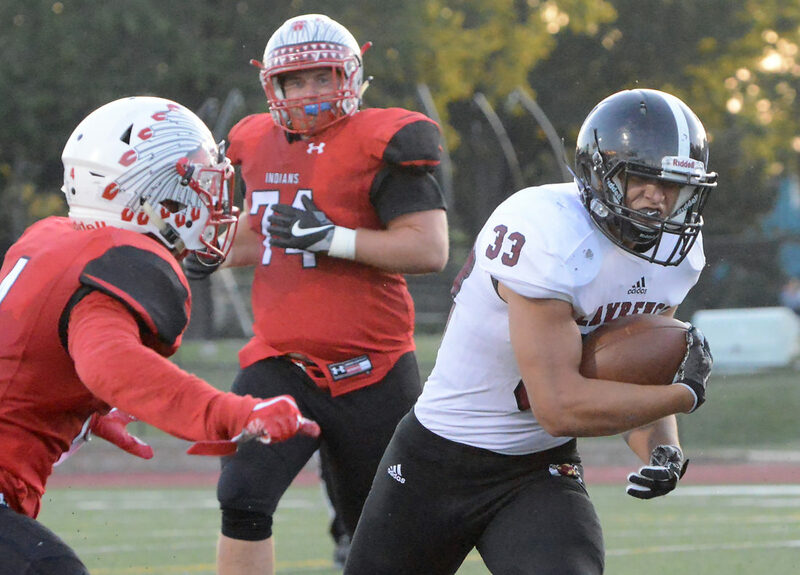 Hunter Krom runs for yards as Lawrence High against Shawnee Mission North during the first quarter on Thursday, Sept. 7, 2017 at Shawnee Mission North District Stadium. 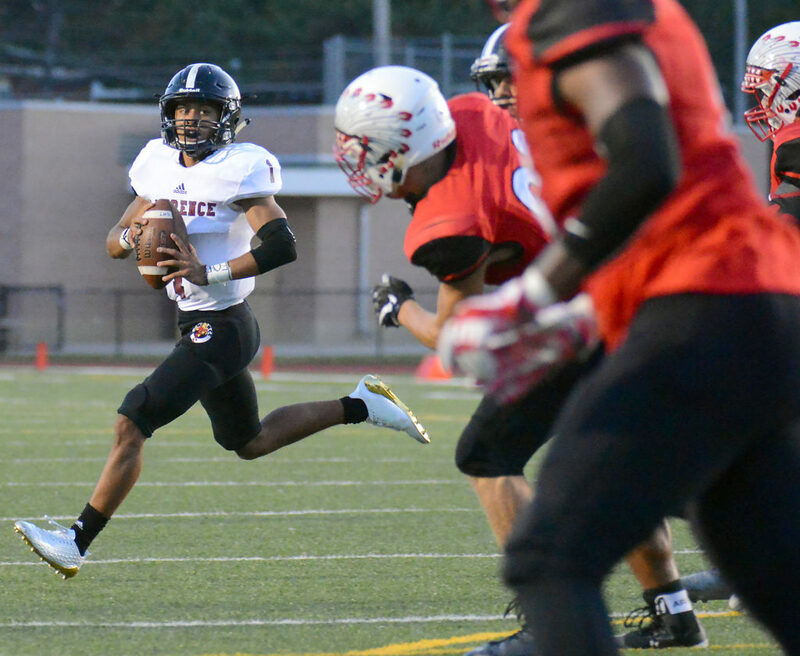 Dante Jackson finds some open field as Lawrence High and Shawnee Mission North played during the first quarter on Thursday, Sept. 7, 2017 at Shawnee Mission North District Stadium. 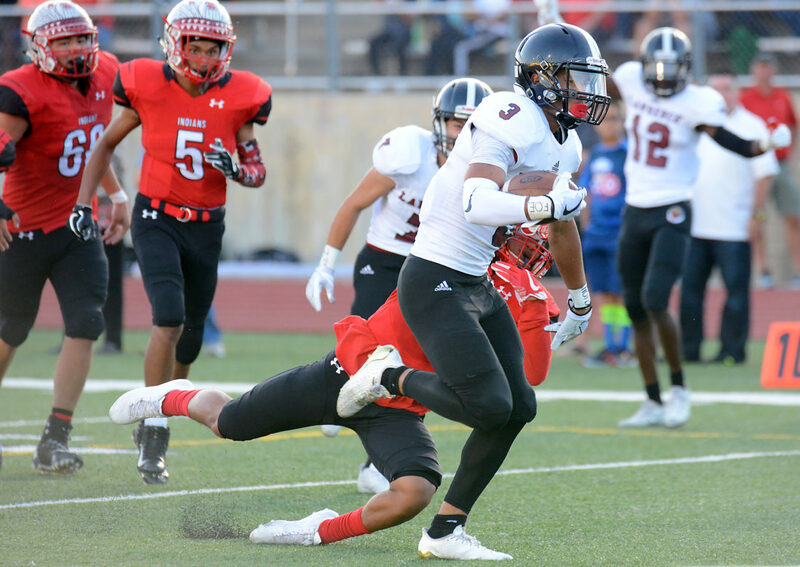 Jalen Dudley makes his way to the end zone as Lawrence High scored early on Shawnee Mission North during the first quarter on Thursday, Sept. 7, 2017 at Shawnee Mission North District Stadium.